Becoming ill or injured whilst on holiday abroad can be costly, especially if you require emergency surgery or medication. Having travel insurance should be considered as important as your holiday money, regardless of how far away your destination is or how long you are away for. Ensuring that you have adequate travel insurance for your trip is vital, and can even be lifesaving in extreme situations. Whilst most people know what to look for when it comes to travel insurance, here are 5 facts that you might not have known about travel insurance. With more and more of us choosing to holiday at home, you probably think that travel insurance is something that you won’t need to deal with in preparation for your holiday. However, if you book a UK holiday without the right travel insurance, you may find that you are potentially missing out on some benefits that will protect you should the unexpected happen. Even though access to the NHS means that travel insurance policies aren’t needed for illnesses or injuries, additional protection may be needed for other aspects of your holiday and for other people that may be travelling with you, including lost or stolen belongings, delays or even cancellations. Not all trips within the UK will require cover, but it’s worth thinking about how much money you may lose if any portion of the trip is cancelled or delayed, or if something is stolen. It’s no surprise that luggage can often go missing or delayed during your travels, but the type of insurance cover you have can affect the way that your search for it is handled. 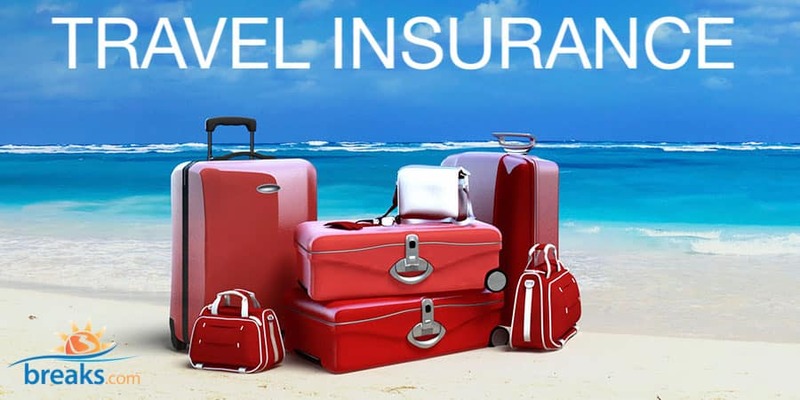 Whilst many travel insurance policies offer cover for delayed and lost luggage, not all policies offer this and often the cover and excess levels can vary considerably. Due to these variations, it’s vital that you read the terms and conditions thoroughly to find one with the right amount of cover that you need, rather than just going for the cheapest. If you are taking expensive items with you, such as a camera or laptop, then usually these will require year-round insurance, rather than just one-off travel insurance, to be viable for protection. Pack your high-value items in your hand luggage and use a safe, if provided, once you get to your destination. Travelling with your partner is one of life’s little luxuries – you get to spend some well needed time together and just have fun, but often getting the right travel insurance can be a minefield. Joint travel insurance policies typically offer up to £2 million cover, but this can vary from policy to policy. Look for cancellation cover which covers up to the amount you paid for your trip as well as baggage and delay cover. However, if you live with a partner who isn’t from the EU, then this can have an effect on the way that you apply for your travel insurance. Travelling with a non-EU partner isn’t going to affect the cover or price of your travel insurance and couple insurance policies are likely to be the most cost-effective. An alternative for non-EU travellers is to become a registered traveller which, as long as they have a UK visa or spouse visa, will allow them through EU borders faster using the ePassport gates. This can also entitle your partner to apply for an EHIC card, which is required for most travel insurance policies. Additionally, European Health Insurance Cards are free and something which all UK residents are entitled to. These little blue cards allow you access to free or reduced medical treatment throughout the EU, but they do not cover you for all European travel. A lot of travellers believe that these cards, if used without adequate travel insurance, will entitle the bearer to receive health care. These cards do not cover any repatriation costs, cancellations or let you claim back any private health care costs. These cards must be used with travel insurance. A lot of travel insurance policies don’t cover travellers of a certain age or with particular health issues. Travel insurers provide and price up policies based on the risks perceived, so with older people and those with previous health issues more likely to have poor health, they are statistically more likely to put a claim in on their insurance. However, with most of us living longer, travelling further and travelling within a group, many insurers are now welcoming travellers of all ages and health. Whilst premiums can be higher for those over 75, the cover provided can be comprehensive, especially when it comes to medical emergencies. Often, these policies can come with additional benefits that younger travellers don’t get, such as extra medical and emergency cover. If you have a more complicated health history, you may also find that you struggle with finding comprehensive travel insurance. Luckily, there are specialist insurers who focus on providing insurance for those policy holders and they will often take a more personalised approach by looking at your case in-depth.